Below you fill find all funeral homes and cemeteries in or near Garner. 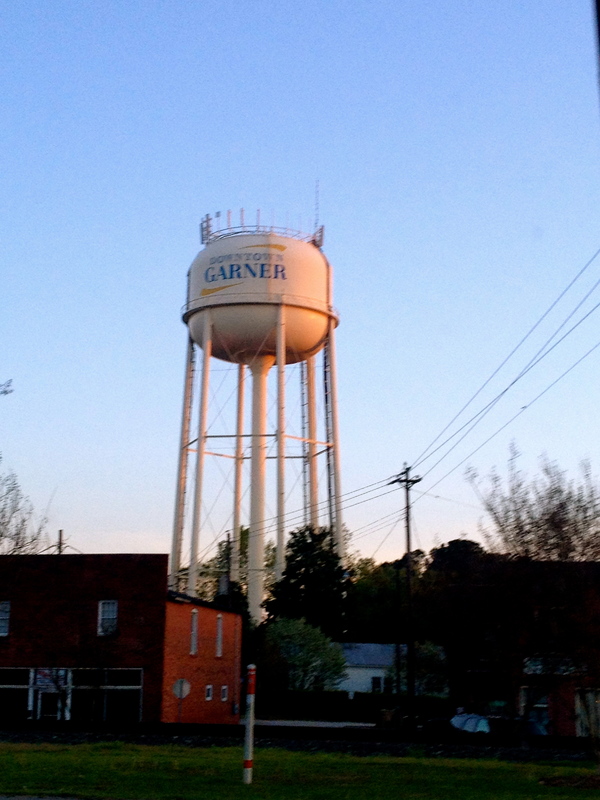 Garner is also known as: Wake County / Garner town. Their current mayor is Mayor Hardin Watkins. Zip codes in the city: 27529. Some of the notable people born here have been: Chris Culliver (american football player), Brandon Banks (american football player), Donald Williams (basketball player), and James Mays (basketball player). Garner is a town in Wake County, North Carolina, United States and a suburb of Raleigh. The population was estimated to be 27,814 as of July 1, 2014.The US Office of Management and Budget also includes Garner as a part of the Raleigh-Durham-Chapel Hill Combined Statistical Area, which has a population of 1,998,808 as of U.S. Census 2012 Population Estimates. Effective June 6, 2003 the Office of Management and Budget redefined the Federal Statistical Areas and dismantled what had been for decades the Raleigh-Durham-Chapel Hill, MSA and split them into two separate MSAs even though the region still functions as a single metropolitan area. It was revealed on March 9th, 2019 that Katie Mae Stuart (Stuart) passed on in Garner, North Carolina. Ms. Stuart was 90 years old. Send flowers to express your sorrow and honor Katie Mae's life. It was noted by News & Observer on January 12th, 2019 that Jackie Sr Johns passed away in Garner, North Carolina. Johns was 81 years old. Send flowers to express your sorrow and honor Jackie Sr's life. It was disclosed by News & Observer on January 9th, 2019 that Grant T Sneed passed away in Garner, North Carolina. Sneed was 72 years old. Send flowers to express your sympathy and honor Grant T's life. It was disclosed by News & Observer on January 7th, 2019 that Charles Frank Hall died in Garner, North Carolina. Hall was 92 years old. Send flowers to express your sympathy and honor Charles Frank's life. It was revealed by News & Observer on January 3rd, 2019 that Kenneth Wayne Skinner passed away in Garner, North Carolina. Skinner was 70 years old. Send flowers to share your condolences and honor Kenneth Wayne's life. It was reported by News & Observer on January 1st, 2019 that Robert Ashley Jr Garrett passed away in Garner, North Carolina. Garrett was 84 years old. Send flowers to express your sympathy and honor Robert Ashley Jr's life. It was revealed by News & Observer on December 28th, 2018 that John Howard "Buck" Roebuck passed on in Garner, North Carolina. Roebuck was 66 years old. Send flowers to express your sympathy and honor John Howard "Buck"'s life. It was revealed by News & Observer on December 12th, 2018 that Charles Melvin Boykin passed on in Garner, North Carolina. Boykin was 81 years old. Send flowers to express your sympathy and honor Charles Melvin's life. It was written by News & Observer on December 11th, 2018 that Connie Fowler (Cagle) perished in Garner, North Carolina. Ms. Fowler was 69 years old. Send flowers to express your sorrow and honor Connie's life. It was reported by News & Observer on December 11th, 2018 that Mary Michele "Mickey" MacOn died in Garner, North Carolina. MacOn was 69 years old. Send flowers to express your sorrow and honor Mary Michele "Mickey"'s life. Garner is a town in Wake County, North Carolina County, North Carolina, United States and a suburb of Raleigh, North Carolina The population was 17,757 at the United States Census, 2000 census and was 25,184 in 2008. . . . . The official website for the city of Garner is http://www.garnernc.gov. Munn was a recipient of North Carolina's Order of the Long Leaf Pine ... Survivors are sons John Munn III of Normal, Ill., David Munn of Garner and Michael Munn of Lake Park. The funeral will be at 2p.m. Thursday at First Presbyterian Church in Monroe. The Family will receive friends Friday from 6:00-8:00 p.m. at Bryan-Lee Funeral Home, Garner. In lieu of flowers, memorial contributions may be made to the Garner United Methodist Church, PO Box 2179, Garner, NC 27529. Funerals in Garner, NC on Yahoo! Local Get Ratings & Reviews on Funerals with Photos, Maps, Driving Directions and more. Listing all funeral homes in Garner, North Carolina so you can easily send flowers to any location (same day delivery) or find any funeral service. funerals in Garner, NC 27529 on Yahoo! Local Get Ratings & Reviews on funerals with Photos, Maps, Driving Directions and more. Find BBB Accredited Funeral Homes near Garner, NC - your guide to trusted Garner, NC Funeral Homes, recommended and BBB Accredited businesses. We work with local florists and flower shops to offer same day delivery. You will find budget sympathy flowers in Garner here. Our funeral flowers are cheap in price but not in value.